Protiviti specializes in internal audit and business consulting, both of which are rewarding fields for accounting professionals. We can assist BAP students in understanding these alternate career paths. Additionally, we can provide BAP students with insights on a variety of key issues and topics within financial services, compliance, government, technology and other critical areas. Finally, we can help BAP students to understand life as a consultant, in terms of the challenges and successes, the opportunities and the benefits, and the unique experiences that this line of work can offer. Protiviti is a global consulting firm that delivers deep expertise, objective insights, a tailored approach and unparalleled collaboration to help leaders confidently face the future. Protiviti and our independently owned Member Firms provide consulting solutions in finance, technology, operations, data, analytics, governance, risk and internal audit to our clients through our network of more than 70 offices in over 20 countries. Protiviti continues to be recognized by Fortune on the 100 Best Companies to Work® for list. We have served more than 60 percent of Fortune 1000® and 35 percent of Fortune Global 500® companies. We also work with smaller, growing companies, including those looking to go public, as well as with government agencies. Protiviti is a wholly owned subsidiary of Robert Half International Inc. (NYSE symbol: RHI). Founded in 1948, Robert Half International is a member of the S&P 500 index. Protiviti is not licensed or registered as a public accounting firm and does not issue opinions on financial statements or offer attestation services. Casey Jo is the Campus Recruiting Lead for Protiviti North America, based in its Houston, Texas office, and has been with the organization since 2007. Her role includes developing and executing the campus recruiting strategy across all offices in North America and core schools, including the U.S. Intern Program, and Summer Leadership Conference program. Casey Jo has spent many years recruiting Accounting, Finance and Technology students to join the firm in various offices across the country. She enjoys seeing a student find a career path that excites them and then watching that individual build a successful career. 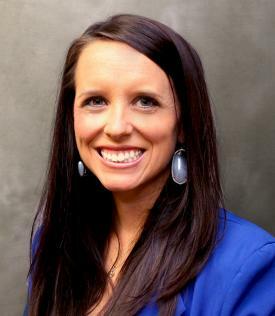 Casey Jo is a Professional in Human Resources (PHR), Society of Human Resource Management – Certified Professional (SHRM-CP) and holds a Bachelor’s degree in Management from Texas A&M University, along with a Masters of Arts in Human Resource Development from the University of Houston.